160W Constant Current Driver as a constant current outdoor driver for 38 / 42 / 54 / 76 / 143V and various other voltages for LED systems. All of waterproof FD-H Series pass UL certifications. Street Lights LED Driver Waterproof IP67 with High Efficiency Operation. Smothly Dimming(0-100%), can dim to off. Shenzhen Fahold Electronics Co.,Ltd found in 2010, a factory with integrating the Led Driver Design, R&D and manufacture, passed the ISO9001 quality management system certification. It covering an area of 5,000 square meters, existing staff more than 200 workers which including 25 researchers, 20 quality controls. 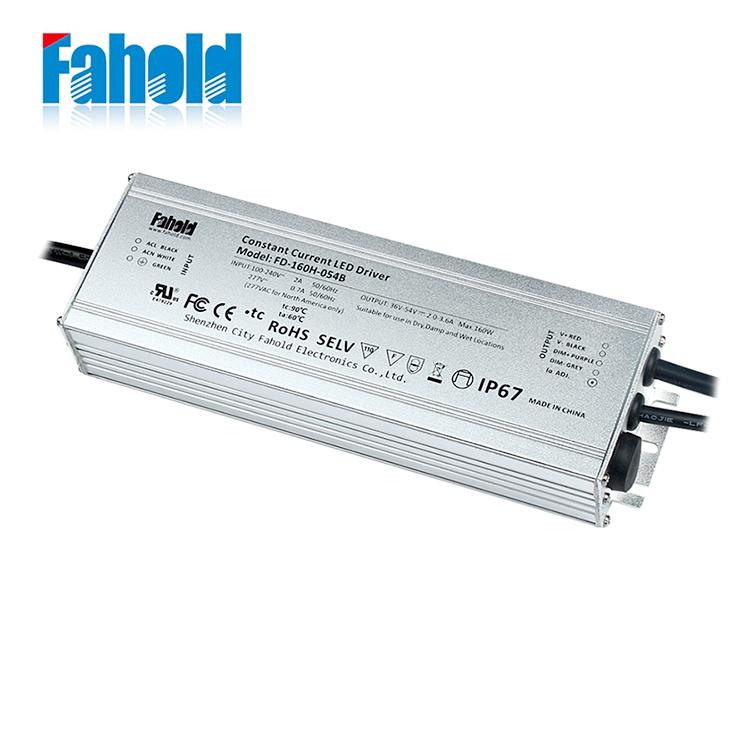 Looking for ideal 160W Constant Current Driver Manufacturer & supplier ? We have a wide selection at great prices to help you get creative. All the Street Lights Led Driver Waterproof are quality guaranteed. We are China Origin Factory of LED Driver 160W. If you have any question, please feel free to contact us.